Quartier du Flon is a contemporary area of 55,000 sq m, located in the heart of Lausanne, which has developed into a vibrant shopping and entertainment area. 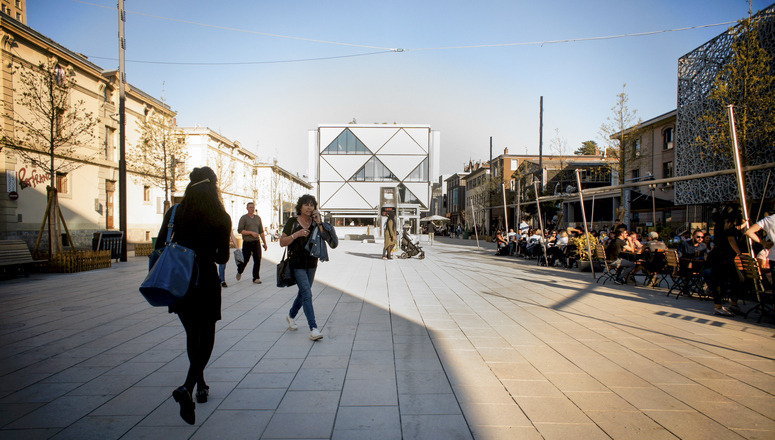 In order to ensure the diversified offering that defines the district in Lausanne, Mobimo, the owner of the project, is focused on maintaining and enhancing the high standard of its buildings as well as its outdoor public spaces. 2017 was a significant year for the image of this unique neighborhood as two important projects were unveiled and new dynamics were created. Bordering the southern side of the district, “Les Garages” opened on September 28, 2017. Named after the function of the previous building’s storage zone, this new construction project hosts over 20 lots of varying and flexible leasable urban spaces – from 23 to 80 sq m – on a total leasable area of over 2,000 sq m.
Currently, this new generation of “Garages” hosts tenants involved in arts and crafts activities, such as galleries, art studios, and concept stores. One cannot avoid the comparison to other similar trendy concepts in Europe, such as “Im Viadukt” in Zürich or “Boxpark” in Shoreditch, London. The Quartier du Flon’s artistic past still shapes the district’s atmosphere and identity. Next to the boutiques and many restaurants, this dynamic new offer has generated a friendly and laid-back atmosphere in the neighborhood. Some of the spaces have been rented to previous Quartier du Flon artists or tenants, who had to move from their studios due to renovation projects. All other tenants have been chosen to suit the spirit of this new and fully leased concept building. Shortly after the opening of “Les Garages”, a huge celebration took place at the beginning of October last year to inaugurate a brand-new square and meeting point in the Quartier du Flon: L’Esplanade du Flon is located in the center of the district. The setting of the 2,600 sq m plaza is ideal for the hosting of seasonal events. Above all, it has become the new meeting point in the Quartier du Flon. Similar to an Italian “piazza”, the square is bordered by restaurant terraces, it is enhanced by sixteen trees, and it includes public benches as well as a fountain featuring artwork by a local artist. The sleek look of the square is a result of the elegant flooring, which is made of a light, natural stone. 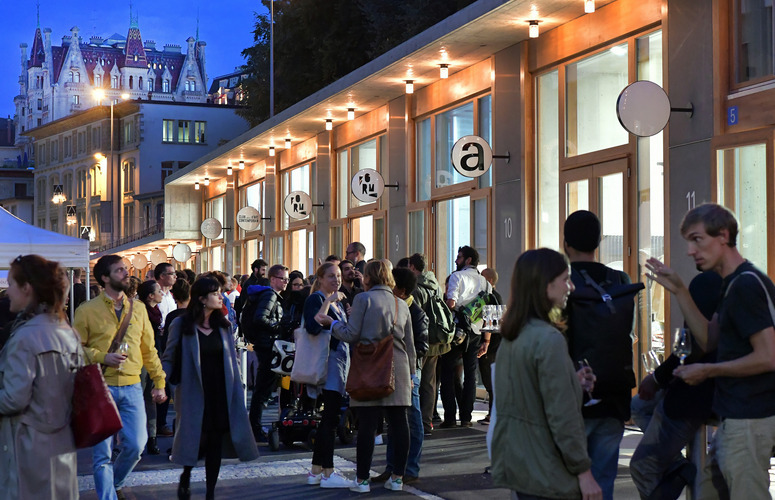 After about nine months of works and an investment of around CHF 4 million, the Esplanade du Flon has resumed hosting various events, which have been highly improved by urban equipment, such as special new lighting.